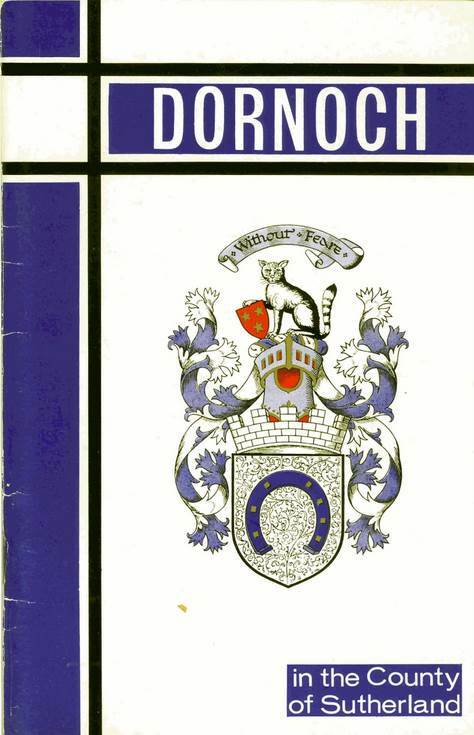 Guidebook to Dornoch produced in the late 1960s. Cover printed in blue, black and red with the burgh arms. Numerous photographs and adverts, and articles on golf, archaeology, ornithology etc. 32pp stapled in card covers.